Samsung's latest Windows Phone device may be small in stature, but it offers powerful performance in its pint-sized package. Read Phone Scoop's full review here. AT&T is backing Microsoft's Windows Phone Mango platform with a healthy selection of phones. 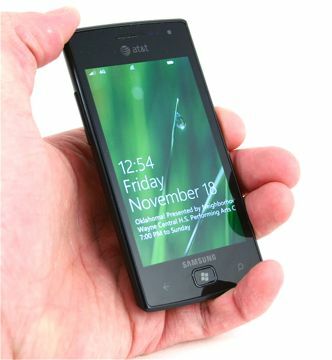 The Samsung Focus Flash is among the first to reach store shelves. The Flash may be more compact than today's leading superphones, but it packs just as hard a punch. If you're looking for a smaller, but still potent, smartphone, then the Focus Flash may be for you.